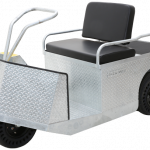 PACK MULE's Custom Vehicles are individually designed for your specific applications. We’ll be glad to provide an electric vehicle for you to try, doing your work in your work environment. 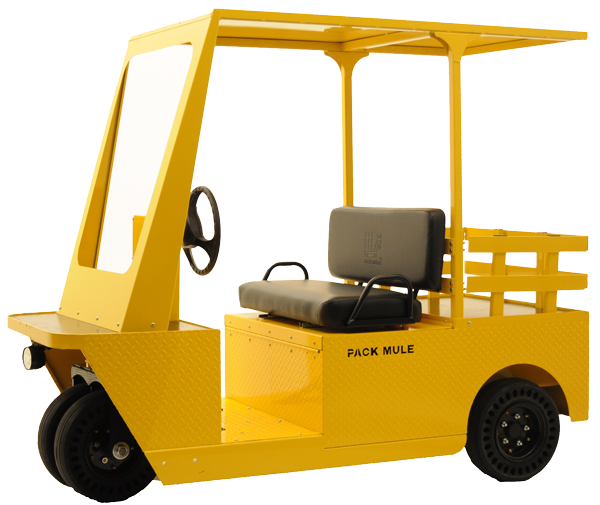 When you use it, you’ll see that the Pack Mule is stronger, safer and built to reduce both downtime and maintenance. A few of PACK MULE's Custom Vehicle solutions. 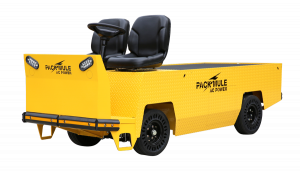 The Pack Mule NXG is a new class of electric utility vehicles unmatched by any competitor. Here's what puts the NXG in a class by itself. UP TO TWICE THE RUNTIME: Using AC power, regenerative braking, industry-leading 245 A/H batteries, and 90 psi low-rolling-friction tires. SMART ENERGY MANAGEMENT: With every acceleration, every turn, and every brake, Pack Mule’s technology is along for the ride, adding regenerative charging and safety features that keep you running at peak performance. VIRTUALLY MAINTENANCE-FREE: With a sealed brushless motor, sealed bearings, contactor-less drive system and sealed transaxle. THREE YEAR WARRANTY: The longest warranty in the industry. STURDIER CONSTRUCTION: Fully welded 14-gauge diamond plated construction and 6-ply, Load Range C tires. YOUR VEHICLE YOUR WAY: Get the exact configuration you need and delivered up to 80% quicker than other manufacturers. 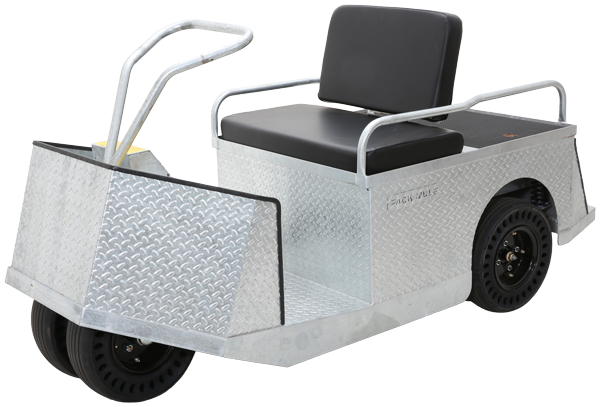 Try a PACK MULE vehicle and/or trailer in your facility. No commitment required. We’ve been helping manufacturers and distributors move materials horizontally for more than 60 years, and we’ve learned what customers need to get the job done. That’s the reason we build PACK MULE to a higher standard—and that’s why we encourage you to test them in your facility, doing your work.